This ProPublica story was co-published with the New York Times. Anita Chanko could not sleep. At 4 a.m., on an August night in 2012, she settled onto the couch in her Yorkville, N.Y., living room with her dog, Daisy, and her parrot, Elliott, and flipped on the DVR. On came the prior night’s episode of ” NY Med,” the popular real-life medical series set America’s NewYork-Presbyterian Hospital, starring Dr. Mehmet Oz. Mrs. Chanko, 75, was a fan of the show and others like it. No one in the Chanko family had given “NY Med” permission to film Mr. Chanko’s treatment at the hospital or to broadcast the moments leading up to his death. Such moments — indeed, all of the intimate details of a person’s health — are supposed to be shared only with a patient and whoever they designate, under a United States federal law known as Hipaa. In the 18 years since the law was passed, doctors and hospitals have put in place an ever-expanding list of rules meant to protect patient privacy. Hospitals warn staff members not to discuss patients’ conditions on elevators. Drug stores ask customers to stand back so they don’t overhear information about others’ prescriptions. 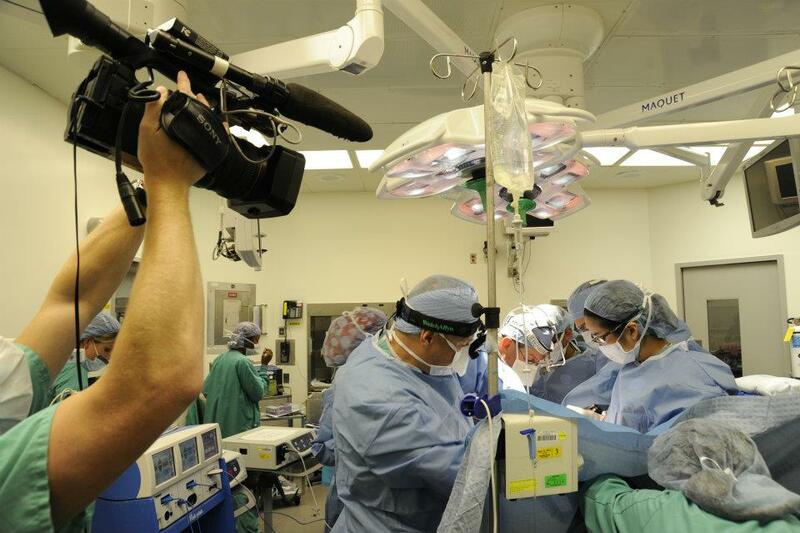 Medical ethicists and groups like the American Medical Association worry that these shows exploit patients’ pain for public consumption, but their makers argue that they educate viewers and inspire people to choose careers in medicine. For the Chankos, the episode of “NY Med” added a coda of anger to more than a year of grief. Their daughter, Pamela Chanko, said seeing the specifics of her father’s injuries and death on TV sent her spiraling back into clinical depression. “It just sent me straight back to square one,” she said. Kenneth Chanko, Mr. Chanko’s son, filed complaints with the hospital, the New York State Department of Health, ABC, a hospital accrediting group, and the U.S. Department of Health and Human Services’ civil rights office. ABC quickly removed the segment involving Mr. Chanko from its website, DVDs and future viewings (although not from the promotional blurb for the episode, which still says “Sebastian Schubl, a Dr. McDreamy-like young trauma surgeon, tries to save the day when a critically injured pedestrian struck by a vehicle is brought to the ER.”) In 2013, the state cited the hospital for violating Mr. Chanko’s rights. That was not enough for the Chankos, who sued ABC, NewYork-Presbyterian and Dr. Schubl for damages. An appellate panel recently dismissed the case, but the family has asked for that decision to be reviewed. Dr. Schubl and the hospital declined to comment for this article, citing the continuing litigation. ABC referred a reporter to Mr. Wrong’s statement. In court filings, the hospital and ABC do not dispute that they did not have consent from Mr. Chanko or his family, but they say the patient is not identifiable to the public. The network has asserted that because “NY Med” is produced by its news division, it is protected by the First Amendment. Lawyers for NewYork-Presbyterian have argued that the state does not recognize a common law right to privacy and that any privacy right Mr. Chanko did have ended upon his death. They say that the Chankos themselves are responsible for their loss of privacy. “There would today still be no identification of the patient or his family but for the latter’s publication via this lawsuit,” a brief for the hospital says. Outside the operating room, doctors and nurses could not detect Mr. Chanko’s pulse and resuscitated him. In the operating room, he became more unstable, medical records show. Twice more they tried to bring him back. He was pronounced dead at 1:17 a.m. But two months into filming the first season, Mr. Wrong later told the Philadelphia Inquirer, “Weill Cornell was just not delivering enough traumas.” To capture more drama and action for “NY Med,” he said he signed contracts with other emergency rooms and began keeping videographers in NewYork-Presbyterian’s emergency room at Weill Cornell 24 hours a day. Some of the patients and families captured by Mr. Wrong’s cameras have no complaints. “I think they were honest in their portrayal of our family and the love that we had and the concerns that any average family would go through when faced with this type of surgery,” said Dara van Dijk, whose mother’s heart valve operation was featured on the same episode as Mr. Chanko’s death. Ms. van Dijk did have one quibble: She was shown falling off a chair while meeting Dr. Oz in the episode. “In a million years, I didn’t think that they would show that,” she said. Patients caught up in emergencies are especially vulnerable, posing special issues for reality shows. They may not be conscious or able to speak for themselves; they may be quite literally exposed, as caregivers work to help them. Joel Geiderman, co-chair of the emergency medicine department at Cedars-Sinai Medical Center in Los Angeles and chairman of the ethics committee of the American College of Emergency Physicians, compared it to taping in a store dressing room and only asking for permission later. Patients’ loved ones, too, are caught up in the moment, making decisions on the fly. The emergency physicians group opposes “the filming for public viewing of emergency department patients or staff members except when they can give full informed consent prior to their participation,” yet show after show returns to the emergency room, drawn by the life-or-death stakes. The New York Times Co. was sued for invasion of privacy in the early 2000s, by a group of patients in New Jersey who appeared in “Trauma: Life in the ER,” a series produced for Discovery’s Learning Channel. One appeals court ruled that the show qualified as news and deserved the same protections under the law. Many of the plaintiffs settled their cases individually, a lawyer for them said. Mr. Chanko’s family had already settled a lawsuit against the private sanitation company whose truck backed over him by the time his widow saw the episode of “NY Med” featuring his case. The Chankos’ son Eric Chanko, a physician who works at a hospital in Ithaca, N.Y., said he, too, struggled to reconcile what he saw on the air with his own work. “They basically did everything that you’re taught in medical school not to do,” he said. In the aftermath of the broadcast, a lawyer for NewYork-Presbyterian tried to assure the family that no one could identify them from what was shown on TV. “Please be assured that your father’s and your family members’ images, likeness and other potentially identifying information were completely obscured in the episode,” the hospital’s associate general counsel, Caroline S. Fox, wrote in an emailed response to Kenneth Chanko’s complaint. Hipaa, more formally the Health Insurance Portability and Accountability Act, does not give patients a right to sue if doctors and hospitals violate their privacy. Neither does New York State’s Patients’ Bill of Rights, courts have ruled. A state Supreme Court judge in Manhattan narrowed the Chankos’ lawsuit, but allowed some claims to proceed. In court filings, lawyers for the hospital and Dr. Schubl made the argument that the law prohibits medical professionals from sharing information about a patient only after he has been examined or treated. Because the “NY Med” film crew had shot video during Mr. Chanko’s treatment, they claimed, it was legal. In November, an appellate panel issued a unanimous order dismissing the case. The conduct “was not so extreme and outrageous” to justify a claim of intentional infliction of emotional distress, the judges wrote. The doctor and hospital, the judges added, did not breach their duty to avoid disclosing personal information “since no such information” was disclosed. Help sustain Facts and Opinions‘ independent, non-partisan and professional journalism by purchasing a $1 day pass or subscription. An online journal of first-rate reporting and analysis, without borders, Facts and Opinions is employee-owned, does not carry advertising, and is funded entirely by readers. Receive new blog posts free by email by using the form on our FRONTLINES blog.